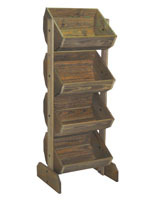 Add this 4 level basket display to any retail floor for a beautiful and accessible showcase of merchandise! 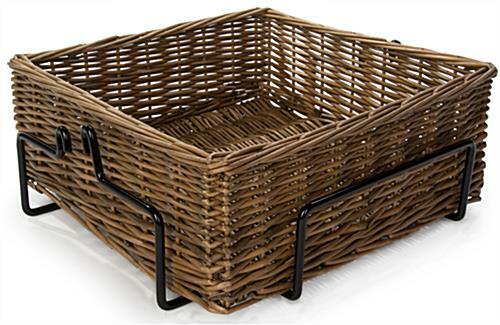 Designed for easy customer interaction, the large wicker containers are angled to attract attention and deep enough to store a variety of products. 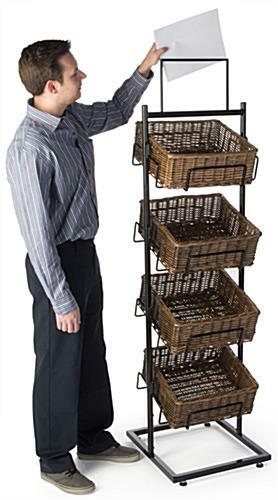 The basket display rack features multiple tiers on a black metal frame, providing ample room to exhibit your goods while saving valuable floor space. In addition, a double-sided sign holder helps attract attention and encourage customer interaction by prompting them to browse your merchandise! The top-insert header fits 12”w x 8”h graphics to promote a unique message, such as an upcoming sale or new items in stock. 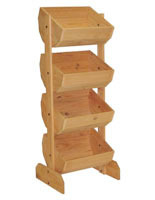 To ensure stability, levelers are included to adjust the unit on an uneven floor. 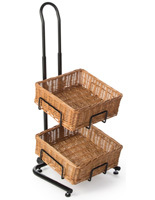 With wicker containers to add rustic charm to your store, this basket display is an attractive retail stand ideal for a variety of storefronts. 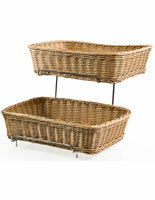 Please Note: The color of the baskets may vary slightly due to the natural fiber. 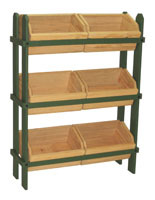 18.5" x 66.5" x 17.5"
18.5" x 2.0" x 20.0"
12.0" x 8.0" x 0.25"
Thanks for the great review, Jody!